“How did you remember my name?” I ask Macinas. After all, another waiter in the busy Billboard Onboard lounge of Holland America’s newly launched Nieuw Statendam had taken my original order. That habit and his other skills — proficiency in English, facility with guests, time as a hospitality worker — made Macinas an ideal recruit for the world’s fleet of 300-plus ocean and river cruise ships. Already working on board are an estimated 200,000 seafarers, according to the industry organization Cruise Line International Association (CLIA). Its dozens of member lines operate 272 ships now and expect to launch another 20 or so new ships this year. CLIA says its members carry an estimated 95 percent of the world’s passengers. 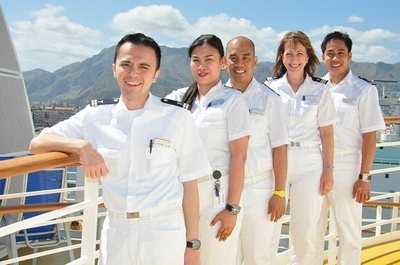 The industry’s continuing growth means a constant demand for new crew members. 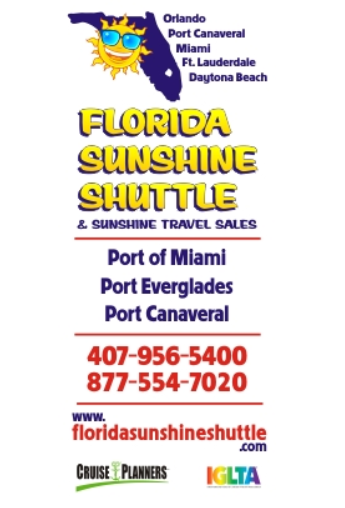 For instance, last year the world’s second-largest cruise company, Miami-based Royal Caribbean Cruises Ltd., launched four new ships across its brands and has several more coming soon. That calls for more than 10,000 new crew members, hired from more than 100,000 applications, said Owen Torres, company spokesman. Miami’s Carnival Corp. is hiring 25,000 new crew members over the next few years for its brands including Carnival, Seabourn, Holland America, Cunard, Princess, Costa and European-centric P&O and Aida. Miami’s Norwegian Cruise Lines Holdings’ three brands launched a single ship in 2018 carrying a crew of 1,716. But like the other lines, it will need more crew — almost 3,500 — for the ships set for delivery in 2019. To fill the need, cruise lines are recruiting beyond the traditional source markets of East Asia. They’re also improving crew quarters, amping up training and broadening opportunities for experienced staff who want to move up ranks. Most onboard workers come from countries where wages are low — sometimes even for those with advanced academic degrees. For them, shipboard pay is a step up — the primary incentive, according to multiple interviews. (Lines declined to release pay scales.) The seven-day, 11-hour schedules — set by unions through collective bargaining — come with full room and board, allowing workers to stockpile savings for families and future. 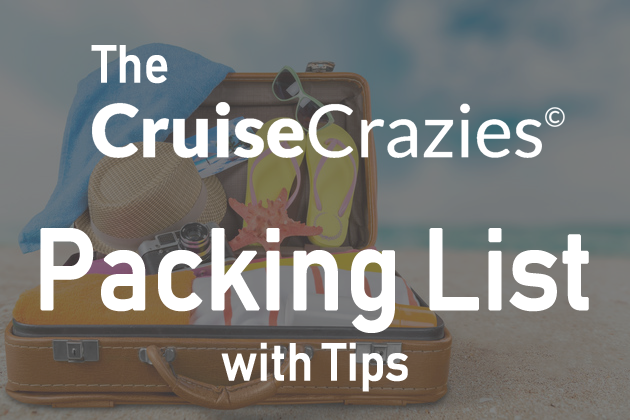 Critical tips are now included on some lines or automatically posted to passengers’ bills on others, meaning they are more standardized and more likely to be deposited directly to a crew member’s bank account. But not just any hard-working person can fit the bill. Cabin stewards, bar staff and waiters are in constant contact with guests, making them an integral part of the cruise experience. “Holland America has a strong reputation for customer service; we don’t just grab [new hires] off the street,” said Holland American President Orlando Ashford during the Nieuw Statendam’s premier cruise in December. Ashford was formerly a human resources executive with Coca-Cola and Motorola. While quality is essential, so are pure numbers. 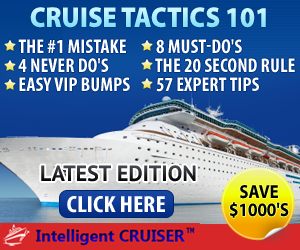 Each cruise company needs to hire enough new workers to maintain the brand’s pre-determined passengers-to-crew ratios. Those ratios, in turn, help define the general onboard experience. For instance, Royal Caribbean Cruise Line’s newly launched Symphony of the Seas carries 5,503 passengers drawn by lively onboard activities including laser tag, surf simulator, zip-lines, a boomerang slide and an observation pod that rises high above the ship — plus a wide array of nightlife, bars, dining options and shows. A crew of 2,200 — Including behind-the-scenes staff like launderers and dishwashers — handles the job, according to the authoritative Berlitz Guide to Cruising and Cruise Ships. That means one crew member for every 2.5 passengers. For luxury ships, the staff-to-guest ratio is lower, enabling them to provide more detailed and personalized services like drink waiters who remember guests’ preferences, pillow softness and even egg preparation. For instance, Crystal Serenity carries 980 passengers and 650 crew, or one crew member for every 1.7 passengers. Seabourn Quest carries 330 crew for its 450 passengers — a ratio of 1 crew member for every 1.3 passengers. To meet those numbers, cruise lines are reaching beyond traditional source markets in Indonesia, the Philippines and the Caribbean. Lines are looking to the United Kingdom, Central Europe and former Soviet countries, among others. The Nieuw Statendam, for instance, launched last month with crew from more than 40 nations, while the entire 17-ship Holland America fleet has about 100 nationalities employed at sea. Some lines recruit directly; others use agencies. Royal Caribbean, for instance, recruits most of its employees based on applications submitted to its website, Torres said. Others are drawn from academic programs in marine, hotel administration and culinary studies. Regardless of the line, crew members fleetwide are taught that Job No. 1 is to please the passengers. To that end, various lines operate their own training academies onshore. Others contract with employment and training companies. Housekeeper Asriyani, for instance, attended Holland America’s academy in Jakarta for five weeks before coming to the Nieuw Statendam. There, she and other recruits practiced in situations simulating reality. Stewards practiced making beds, cleaning bathrooms and refilling ice buckets in mock cabins similar to those they’ll find on board. Chefs bound for onboard sushi restaurants spent an entire week learning to precisely wrap sticky rice into seaweed sheets and carefully slice fresh fish for sashimi. Waiters there and at Holland America’s Manila academy graduated by serving meals to staff at the U.S. embassies. Once aboard, new crew members are greeted by a “buddy” — a fellow countryman who has already worked the same onboard assignment. The buddy guides his charge through shipboard life, from uniform fittings to the location and hours of the crew mess. There’s a basic checklist to be completed within 72 hours. Cabin stewards and their assistants are assigned a specific number of staterooms, depending on the cabin size. Aboard Nieuw Statendam, Indonesians Budhi Prasetyo and his assistant Tommy Yasin Marta clean 29 mid-sized cabins every morning: remaking the beds, exchanging towels, cleaning the sink, disinfecting the toilet. Each evening, they return for a turndown service that includes folding towels into whimsical animals. Table-service waiters and their assistants keep a similar routine for tables assigned on the number of seats, rotating between lunch and evening assignments. Drink waiters’ bar assignments may rotate during the day. The training continues. On a maiden voyage like this one aboard Nieuw Statendam, staff comes aboard days or even weeks before the first guests, learning the layout and the specifics of their assignments. To lessen the chance of customer-service problems, managers limit the number of new employees per ship. 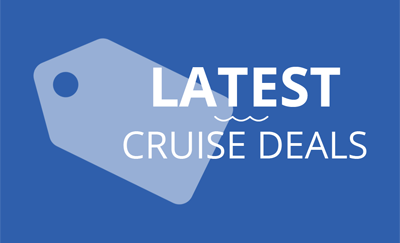 Only 10 of the Nieuw Statendam’s total 1,053 crew members were first-timers, Fairbotham said. About 60 percent of the crew worked on the ship’s predecessor, Koningsdam, which went into dry dock with the launch of Nieuw Statendam. Still, there’s constant fine-tuning. Restaurant operations manager Glen Cools works with waiters on table protocol, such as the placement of various glasses; the waiters with the best English skills are assigned to specialty restaurants where dishes and ingredients may be less familiar. Wine waiters do detailed tastings so they can suggest food and wine pairings. Bartenders memorize cocktail recipes or learn elaborate pouring routines that can include smoking cocktails or pyramids of glasses. Managers also work with crew members to fit into the lines’ specific style. “Crew about to work on a Carnival ship are taught to interact with guests and children. Cunard staff is steeped in tradition and are more formal. HAL [Holland America Line] staff are taught to interact but retain formality,” said Kimberley Hatherall , Nieuw Statendam’s onboard learning and development manager. And because HAL’s cruises often last more than 10 days, “Our guests love to ask questions and make friends with individual crew, who are proud to talk about their own families and customs,” Fairbotham said. On board, each ship’s human relations manager and development managers help ensure the crew’s quality performance as well as satisfaction. 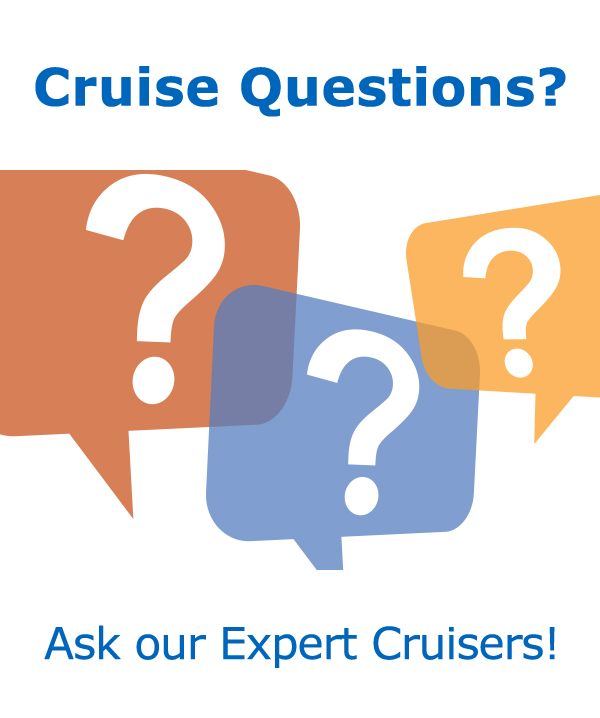 Ongoing training, Holland America and others have learned, is part of maintaining crew satisfaction. 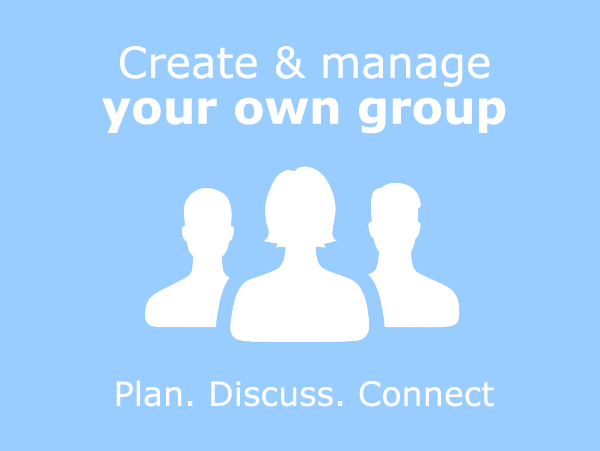 Gone are the days of six or more people sharing a room. Typically, crew cabins consist of two beds, wardrobes and a sink; each cabin shares a toilet and shower room with an adjacent cabin. Cabin size minimums are set by maritime regulations. Although some ships have some three-bed cabins, most new builds — like Celebrity Edge, a new ship from Royal Caribbean’s Celebrity brand — feature only doubles. Cabin assignments are set according to nationalities and work schedules. Some contracts have been trimmed from nine months to eight months, but the length of the work day remains a concern of seafarer advocates. For down time, crew members have their own dining halls, say cruise lines. Largely Muslim Indonesian crews often have their own chef and a mosque or area dedicated for Muslim prayer observances. Recreation areas include pool, ping-pong and foosball tables, dart boards and a gym; some ships have a swimming pool for the crew or organize sports contests. Weekly crew events can include karaoke, raffles and bingo; prizes can include time off. Crew also can earn rewards based on supervisors’ observations and passengers’ comment forms. 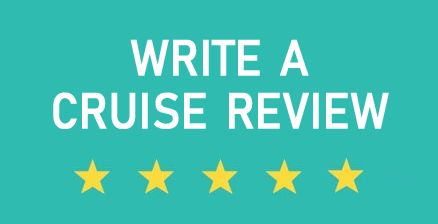 Most cruise lines encourage guests to fill out surveys; Holland America receives about 300,000 of them a year. Rewards can range from a one-meal break from service to a full day off. But for crew members with aspirations, the biggest incentive is the chance to move up.